What Causes Drug Addiction and Alcoholism? No one wants to be a drug addict or alcoholic, but this doesn’t stop people from getting addicted. The most commonly asked question is simply – how? How could my son, daughter, father, sister, or brother become a liar, a thief, someone who cannot be trusted? How could this happen? And why won’t they stop? The first thing you must understand about addiction is that alcohol and addictive drugs are basically painkillers. They chemically kill physical or emotional pain and alter the mind’s perception of reality. They make people numb. For drugs to be attractive to a person, there must first be some underlying unhappiness, sense of hopelessness, or physical pain. In medical terms, a drug is any substance that when taken into a living organism may modify one or more of its functions. Drugs can provide temporary relief from unhealthy symptoms and/or permanently supply the body with a necessary substance the body can no longer make. Some drugs produce unwanted side affects. In large enough doses, all drugs are toxic.Some drugs lead to an unhealthy dependency that has both physiological and behavioral roots. Whether a person is genetically or biochemically predisposed to addiction or alcoholism is a controversy that has been debated for years within the scientific community. One school of thought advocates the “disease concept”, embracing the notion that addiction is an inherited disease, and that the individual is permanently ill at a genetic level, even for those experiencing long periods of sobriety. How Do Drugs Affect The Mind? The mind is our most important tool. With our mind, we solve the problems we face in life. 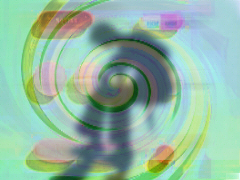 Drugs do several things that harm one’s ability to think or to be fully aware of the present surroundings. These effects continue long after the effects of the drug appear to have worn off. Addictive drugs activate the brain’s reward systems. The promise of reward is very intense causing the individual to crave the drug and to focus their activities around taking the drug. The ability of addictive drugs to strongly activate brain reward mechanisms and their ability to chemically alter the normal functioning of these systems can produce an addiction. Drugs also reduce a person’s level of consciousness, harming the ability to think or be fully aware of present surroundings. After extended use, the person no longer responds to the drug in the way that person initially responded. So for example, in the case of heroin or morphine, tolerance develops rapidly to the analgesic (painkilling) effects of the drug. While the development of tolerance is not addiction, many drugs that produce tolerance also have addictive potential. The fact remains that there is scientific research to support all of these concepts. The question of whether addiction is genetic, behavioral or biochemical does not have an absolute answer. The distinguishing feature of the condition commonly referred to as addiction is the ability of the drug to dominate the individual’s behavior, regardless of whether physical dependence is also produced by the drug. There are a wide variety of treatment methods being used today, administered based on whatever school of thought the treatment provider believes in. With a 16% to 20% recovery rate based on statistical analysis of national averages, the message is clear that we have a lot more to learn if we are to bring the national recovery rate to a more desirable level. There is another school of thought that has proven to be more accurate. It has to do with the life cycle of addiction. This data is universally applicable to addiction no matter which hypothesis is used to explain the phenomenon of drug dependency.